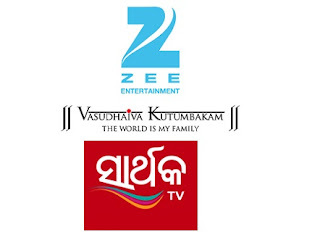 Media firm Zee Entertainment Enterprises Ltd (ZEEL) today announced acquisition of Odia general entertainment channel 'Sarthak' for Rs 115 crore. The proposal has been approved by the Board of Directors in today's meeting, ZEEL said in a filing to BSE. "The Board has approved in-principle, acquisition of 100 per cent equity stake in Sarthak Entertainment Pvt Ltd, an entity which owns and operates 'Sarthak', a leading Odia language general entertainment channel," it said. The stake would be acquired from current shareholders of the Sarthak Entertainment, subject to necessary regulatory approvals, it added. "The said acquisition shall be as an all-cash deal at a consideration of maximum of Rs 115 crore, including Rs 15 crore payable in fiscal 2017 and 2018, linked to certain performance milestones of the channel," the filing further said. Commenting on the acquisition, ZEEL MD and CEO Punit Goenka said, "We are pleased to announce the acquisition of Sarthak as we continue to invest in tomorrow...Sarthak will further add to our formidable bouquet of 33 channels in the domestic market." ZEEL's other regional channels include Zee Marathi, Zee Talkies, Zee Bangla, Zee Bangla Cinema, Zee Telugu, Zee Kannada and Zee Tamizh. The company's shares were trading at Rs 378.90 a piece in the afternoon trade on BSE, up 0.96 per cent from its previous close.